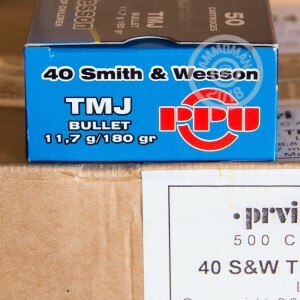 This .40 S&W Prvi Partizan ammunition fires a 180 grain total metal jacket (TMJ) bullet with an enclosed base, making it ideal for shooting indoors or anywhere lead exposure is a concern. Each box contains 50 rounds. 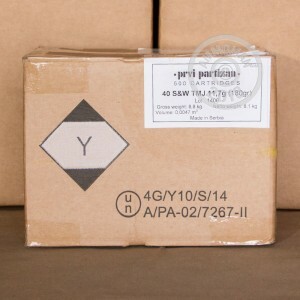 While this ammunition is suitable for nearly all firearms, it should not be used in guns with ported barrels (typically used for competition) due to shearing issues. 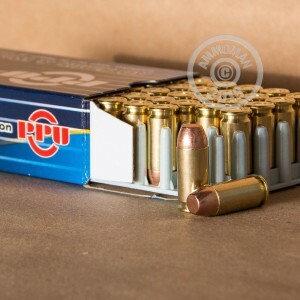 Save big on your next few range trips at AmmoMan.com, where all orders over $99 ship for free!